New paper: Gallagher, S. 2019. Precis: Enactivist Interventions. Philosophical Studies. New Book: Newen, De Bruin & Gallagher. 2018. 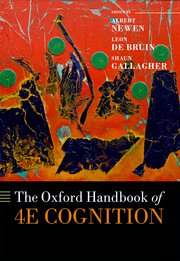 Oxford Handbook of 4E Cognition. Oxford: Oxford University Press. 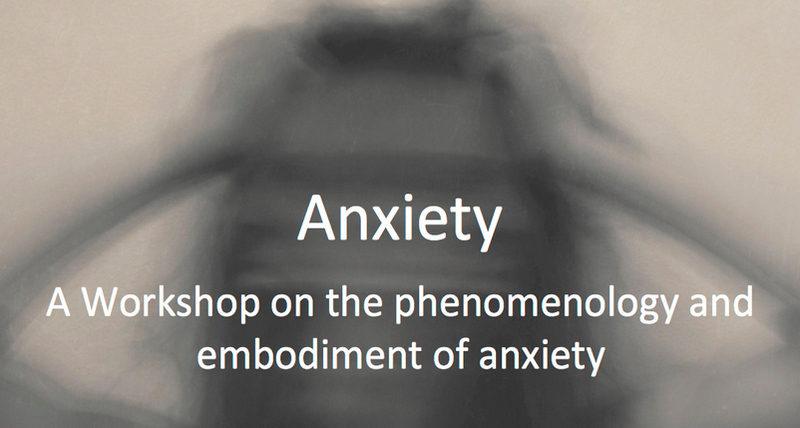 Phenomenology. Interview on Philosophy Talk (radio show). Original live broadcast: 23 April 2017. https://www.philosophytalk.org/shows/phenomenology-lived-experience. Rebroadcast on 128 public radio stations. Podcast available soon from iTunes. Radio interview with Shaun Gallagher and Jesse Prinz. Awe and wonder. Australian National Radio Interview. The Philosopher's Zone. Interviewed by Joe Gelonesi. Sunday 13 March 2016 (Sydney). 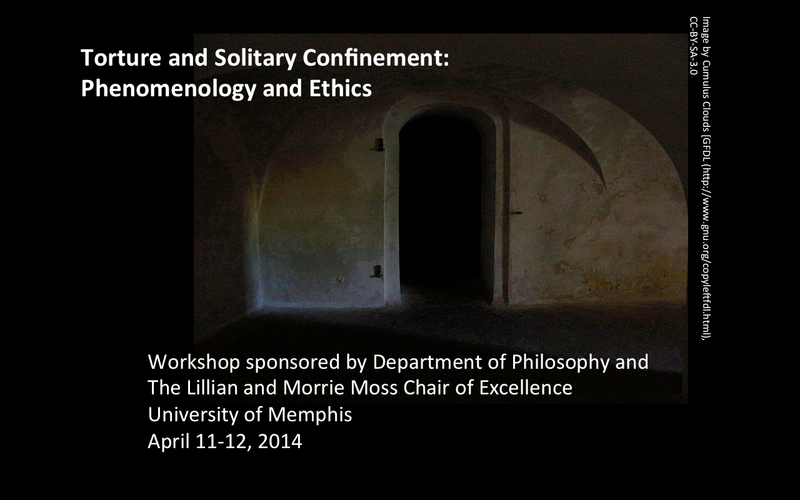 Shaun Gallagher is the Lillian and Morrie Moss Chair of Excellence in Philosophy at the University of Memphis (2011- ). He holds a secondary appointment as Professorial Fellow on the Faculty of Law, Humanities and the Arts, at the University of Wollongong (Australia). He is the recipient of the Humboldt Foundation's first Anneliese Maier Research Award (2012-2018). He is also Honorary Professor of Health Sciences at the University of Tromsø in Norway. From 2007-2015 he held a secondary appointment as Research Professor of Philosophy and Cognitive Science at the University of Hertfordshire (UK). He was Honorary Professor of Philosophy at the University of Copenhagen (2010-15), and Honorary Professor of Philosophy at the University of Durham (UK) (2013-16). He has held visiting positions at the Medical Research Council's Cognitive and Brain Science Unit at Cambridge University, the Danish National Research Foundation Center for Subjectivity Research at the University of Copenhagen, the Ecole Normale Supériure in Lyon, the Centre de Recherche en Epistémelogie Appliquée (CREA), Paris, Die Kolleg-Forschergruppe Bildakt und Verkörperung, Humboldt University in Berlin, and most recently at Keble College, University of Oxford (2016). 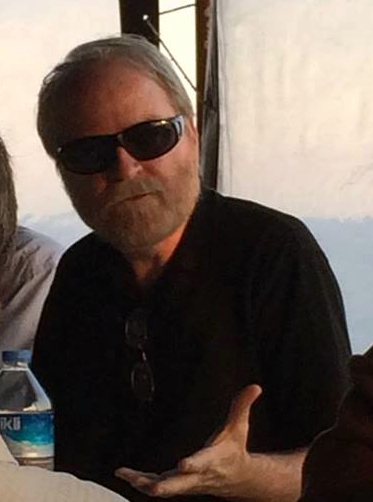 He is also a founding editor, and continues as a co-editor-in-chief of Phenomenology and the Cognitive Sciences, an interdisciplinary journal published by Springer (Google Metrics). 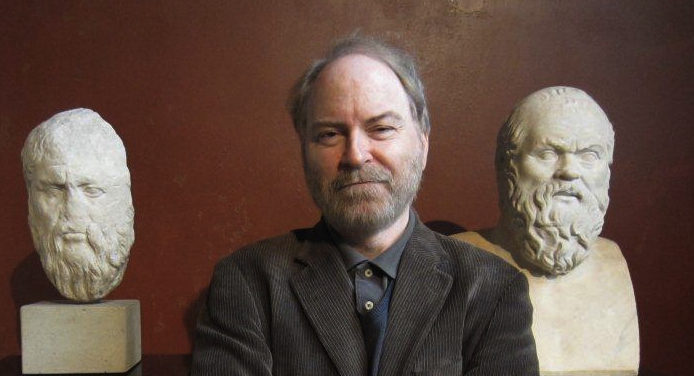 His research interests include phenomenology and the philosophy of mind, philosophical psychology, embodiment, intersubjectivity, hermeneutics, and the philosophy of time. In Tromsø at the Northern most university in the known universe. 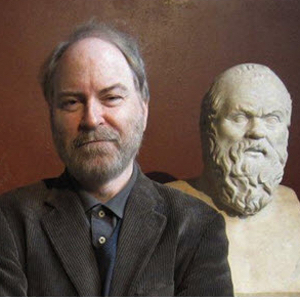 Shaun Gallagher est Moss Professor of Excellence in Philosophy, University of Memphis (USA), et Professorial Fellow at the University of Wollongong (AU). Honorary Professor of Health Sciences at the University of Tromsø. Son travail se situe à l'intersection de la tradition phénoménologie et des sciences cognitives, et porte principalement sur les thèmes de l'incarnation, de la temporalité et de l'identité personnelle. Parmi ses publications figurent notamment : Phenomenology (2012). Brainstorming (Imprint Academic 2008); The Phenomenological Mind (Routledge, 2008 & 2012, with Dan Zahavi); How the Body Shapes the Mind (Oxford: Oxford University Press, 2005); The Inordinance of Time (Evanston: Northwestern University Press, 1998), Hermeneutics and Education (Albany: State University of New York Press, 1992), Ipseity and Alterity: Interdisciplinary Approaches to Intersubjectivity. Ed. with S. Watson (Rouen: Publications de l'Université de Rouen, 2004); Models of the Self, ed. with J. Shear (Exeter: Imprint Academic, 1999), Hegel History and Interpretation (ed. Albany: State University of New York Press, 1997), Merleau-Ponty, Hermeneutics and Postmodernism, ed. with Thomas Busch, (Albany: State University of New York Press, 1990). Shaun Gallagher er Moss Chair of Excellence filosofiprofessor ved University of Memphis (USA) og Professorial Fellow at the University of Wollongong (AU); Honorary Professor of Health Sciences at the University of Tromsø. Hans forskningsinteresser omfatter fænomenologi og bevidsthedsfilosofi, kropslighed, hermeneutik og tidsfilosofi. Blandt hans publikationer er Phenomenology (2012); Brainstorming (Imprint Academic 2008); The Phenomenological Mind (Routledge, 2008 & 2012, with Dan Zahavi) -- Bevidsthedens fænomenologi: En indføring i bevidsthedsfilosofi og kognitionsforskning. Copenhagen: Gyldendal Publishers, 2010 (trans. Rasmus Thybo Jensen). ; How the Body Shapes the Mind (Oxford: Oxford University Press, 2005); The Inordinance of Time (Evanston: Northwestern University Press, 1998), Hermeneutics and Education (Albany: State University of New York Press, 1992), Ipseity and Alterity: Interdisciplinary Approaches to Intersubjectivity. Ed. with S. Watson (Rouen: Publications de l'Université de Rouen, 2004); Models of the Self, ed. with J. Shear (Exeter: Imprint Academic, 1999), Hegel History and Interpretation (ed. Albany: State University of New York Press, 1997), Merleau-Ponty, Hermeneutics and Postmodernism, ed. with Thomas Busch, (Albany: State University of New York Press, 1990). Shaun Gallagher ist Moss Professor of Excellence am University of Memphis (USA) und seit 2014 Professorial Fellow an der University of Wollongong (AU). 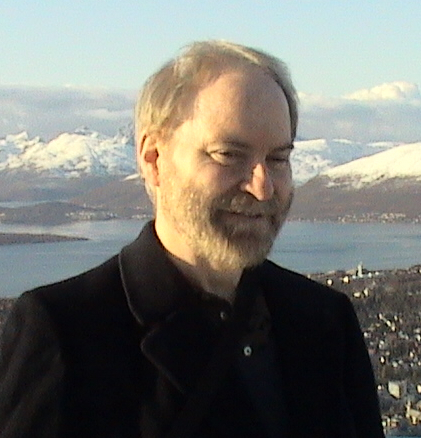 Honorary Professor of Health Sciences, University of Tromsø (NO). Studium der Philosophie und Wirtschaftswissenschaften and der State University of New York, an der Villanova University. Seine Dissertation in Philosophie am Bryn Mawr College behandelte das Verhältnis von Leiblichkeit und Zeiterfahrung nach Phänomenologie. Shaun Gallagher war Gastwissenschaftler u. a. an der Ecole Normale Supérieure Lyon, der Universität Kopenhagen, the Centre de Recherche en Epistémelogie Appliquée (CREA), Paris, and at Die Kolleg-Forschergruppe Bildakt und Verkörperung, Humboldt University in Berlin, und bei der Cognition and Brain Sciences Unit, Cambridge. Für seine internationalen Forschungsarbeiten in Philosophie und Kognitionswissenschaften hat Shaun Gallagher den Anneliese Maier-Forschungspreis (2012-17) der Humboldt-Stiftung erhalten. 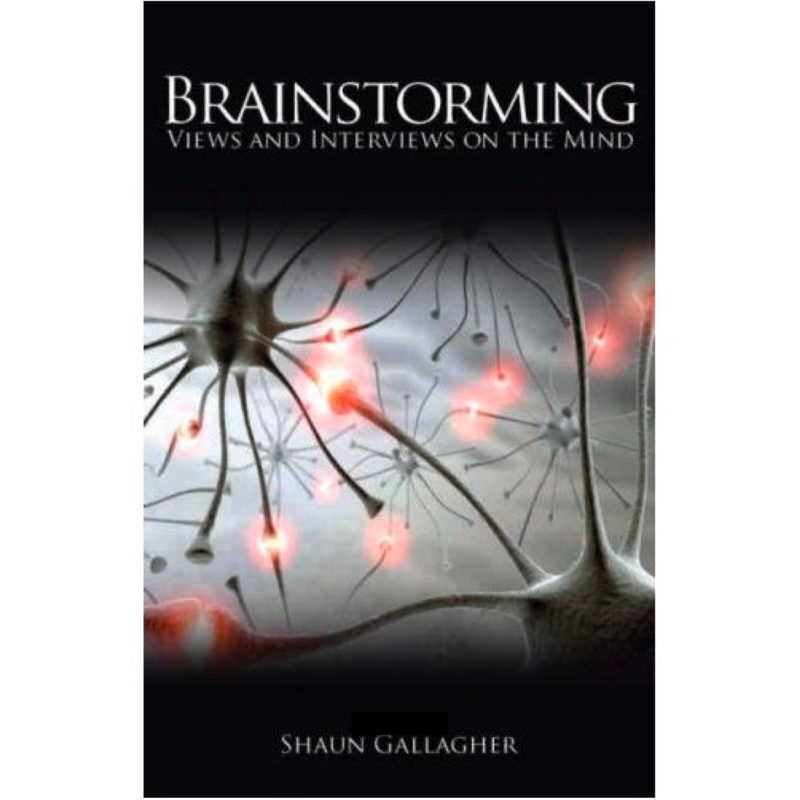 Shaun Gallaghers Forschungsgebiete umfassen Phänomenologie, Philosophie des Geistes, Neuropsychologie, das Problem der Leiblichkeit (embodiment), philosophische Hermeneutik, Geschichte der Philosophie, Ethik, Politische Philosophie, Kritische Theorie, Hegel und philosophische Probleme der Zeit. Herausgabe des Oxford Handbook of the Self. Seit 2001 ist Shaun Gallagher Herausgeber der Zeitschrift Phenomenology and the Cognitive Sciences. Phenomenology (Palgrave-Macmillan 2012); Brainstorming: Views and Interviews on the Mind (Imprint Academic 2008); The Phenomenological Mind mit D. Zahavi (Routledge 2008; 2nd ed. 2012); How the Body Shapes the Mind, (Oxford University Press 2005); The Inordinance of Time (Northwestern University Press 1998); Hermeneutics and Education (SUNY Press 1992); The Oxford Handbook of the Self (OUP 2011); Can Consciousness Cause Behavior? An Investigation of the Nature of Volition (Hg. mit S. Pockett and W. Banks, MIT Press, 2006); Ipseity and Alterity: Interdisciplinary Approaches to Intersubjectivity (Hg. mit S. Watson, Rouen 2004); Models of the Self, Hg. mit J. Shear, Exeter 1999; Hegel, History and Interpretation, Hg., Albany 1997; Merleau-Ponty. Hermeneutics and Postmodernism, Hg. mit Thomas Busch, Albany 1990. 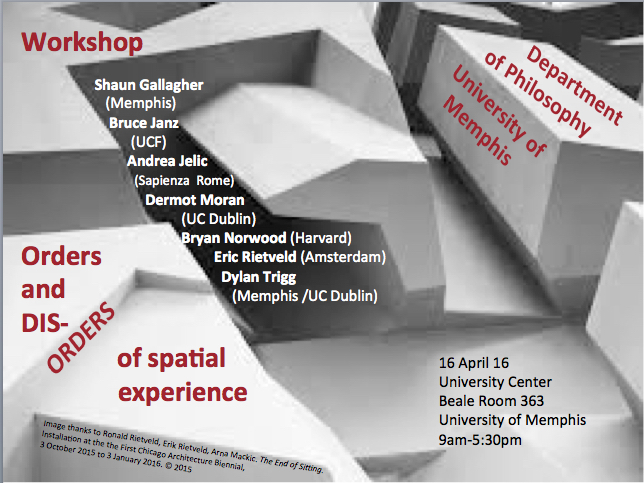 Shaun Gallagher occupa la Cattedra di Eccellenza in Filosofia intitolata a Lillian e Morrie Moss presso l’Università di Memphis. Ha anche un incarico secondario come Professorial Fellow, University of Wollongong (Australia), ed è Professore Onorario di Filosofia e Scienze Cognitive presso l’Università di Copenhagen e l’Università di Durham; Professore Onorario di Health Sciences, University of Tromsø (NO). È stato precedentemente Professore di Filosofia e Scienze Cognitive presso l’Università della Florida Centrale, dove è tuttora affiliato all’Institute for Simulation and Training, un centro di ricerca dedicato alla modellazione e alla simulazione. Ha condotto periodi di ricerca in visita presso la Medical Research Council's Cognitive and Brain Science Unit dell’Università di Cambridge, il Danish National Research Foundation Center for Subjectivity Research dell’Università di Copenhagen, la Scuola Normale Superiore di Lione, il Centre de Recherche en Epistémologie Appliquée (CREA) a Paris, e Die Kolleg-Forschergruppe Bildakt und Verkörperung della Humboldt Univesität di Berlino. È il vincitore del primo premio Anneliese Maier della Fondazione Humboldt (2012-2017). È redattore di Phenomenology and the Cognitive Sciences, una rivista interdisciplinare pubblicata da Springer. I suoi interessi di ricerca si concentrano sulla fenomenologia e la filosofia della mente, la psicologia filosofica, l’embodiment, l’intersoggettività, l’ermeneutica, e la filosofia del tempo. 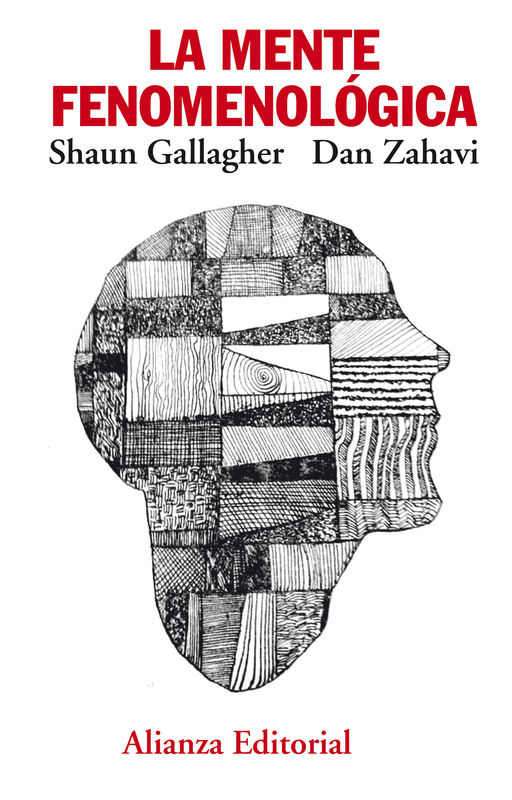 Il suo libro con Dan Zahavi, The phenomenological mind, è stato tradotto in italiano: La mente fenomenologica. Milano: Raffaello Cortina, 2009 (trad. P. Pedrini). Shaun Gallagher je klíãovou postavou diskuse mezi boufilivû se rozvíjející, dynamickou kognitivní vûdou a na první pohled tradicionalistickou, staticky vyhlácu preteéjící filosofií mysli, popfi. fenomenologií. Oblast jeho zájmu sahá od interpretace fenomenologic ch a hermeneutick ch text (Husserl, Merleau-Ponty, Gadamer.) pfies obecné otázky metodologie kognitivních vûd aÏ po konkrétní v zkum poruch poznávacího procesu. Spolupracoval mimo jiné sve s F. Varelou, J. Colem, D. McNeillem, A. J. Marcelem a J. Shearem. Je spolueditorem ãasopis: Phenomenology and the Cognitive Sciences. Shaun Gallagher Moss professzor of Excellence a University of Memphis Filozófia és Kognitív Tudományok Intézetének vezetje, valamint Wollongong-i Professorial Fellow. Újabb munkái: A Fenomenológiai Elme. Budapest: Lélekben Otthon Kiadó (2008); Phenomenology (2012); How the Body Shapes the Mind (2005), illetve társszerzként: The Oxford Handbook of the Self (2011); Can Consciousness Cause Behavior? An Investigation of the Nature of Volition (2006); Brainstorming (2008). Shaun Gallagher é titular da posição de quadro de Excelência em Filosofia de Lillian e Morrie Moss na Universidade de Memphis (2011-), tendo também uma nomeação secundária como Professor catedrático na Faculdade de Direito, Humanidades e Artes, na Universidade de Wollongong (Austrália). Recebeu o primeiro Prêmio de Pesquisa Anneliese Maier da Fundação Humboldt (2012-2018). Prof. Gallagher é também professor honorário de Ciências da Saúde na Universidade de Tromsø, na Noruega. De 2007 a 2015, foi também professor e investigador de Filosofia e Ciência Cognitiva na Universidade de Hertfordshire (Reino Unido) e foi Professor Honorário de Filosofia na Universidade de Copenhaga (2010-15) assim como Professor Honorário de Filosofia na Universidade de Durham (Reino Unido) (2013-16). Ocupou cargos de visitante na Unidade de Ciências Cognitivas e Cérebro do Conselho de Pesquisa Médica da Universidade de Cambridge, no Centro de Pesquisa de Subjetividade da Fundação Nacional de Pesquisa Dinamarquesa da Universidade de Copenhague, na École Normale Supériure de Lyon e no Centro de Pesquisa em Epistemologia Aplicada (CREA ), Paris, Die Kolleg-Forschergruppe Bildakt und Verkörperung, Universidade Humboldt de Berlim e, mais recentemente, no Keble College, Universidade de Oxford (2016). Foi editor fundador e permanece neste momento com a posição de co-editor-chefe da revista Fenomenologia e das Ciências Cognitivas, que é uma publicação de carácter interdisciplinar publicada pela Springer (Google Metrics). Os seus interesses de investigação incluem a fenomenologia e a filosofia da mente, psicologia filosófica, incorporação (embodiment), intersubjetividade, hermenêutica e filosofia do tempo. 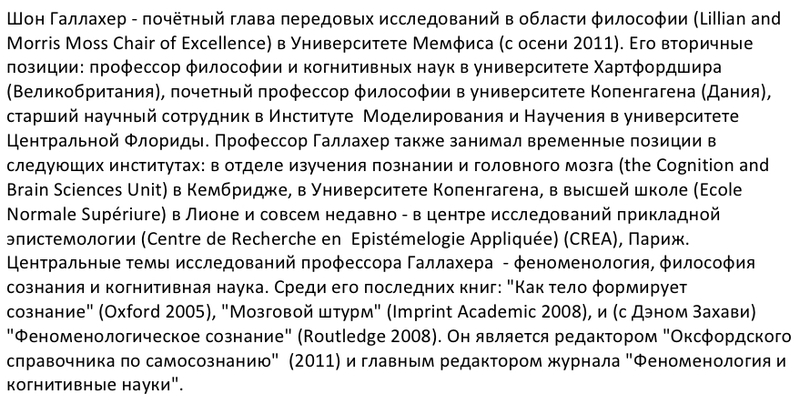 Shaun Gallagher je Moss Profesor of Excellence in Filozofije na University of Memphis. Urednik je Phenomenology and the Cognitive Sciences, interdisciplinarnog asopisa kojega publicira izdavaka kua Springer. Njegovi istraživaki interesi obuhvaaju fenomenologiju i filozofiju uma, utjelovljenje (embodiment), neuropsihologiju, hermeneutiku i filozofiju vremena.